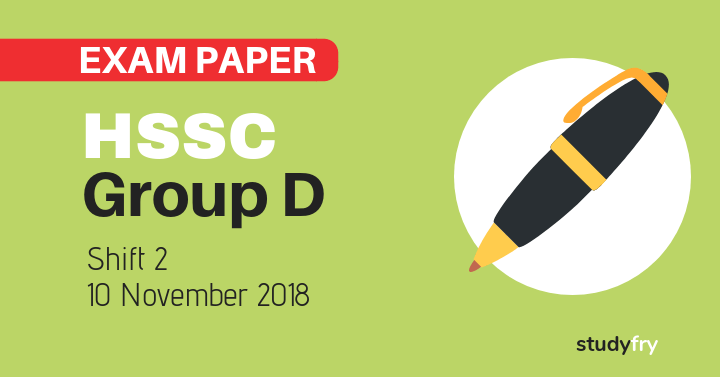 HSSC Group D exam paper 10 November 2018 (Shift 2) with Answer Key: HSSC Group D second shift exam paper held on 10 November 2018 by HSSC (Haryana Staff Selection Commission) with answer key available here. 3. निम्नलिखित में से कौन-सा लोकतांत्रिक और सरकार के अन्य रूपों के बीच सही अंतर नहीं है ? 20. निम्नलिखित में से कौन-सा एक समांतर श्रेणी बनाएगा ? I want all solutions sir!!!! !